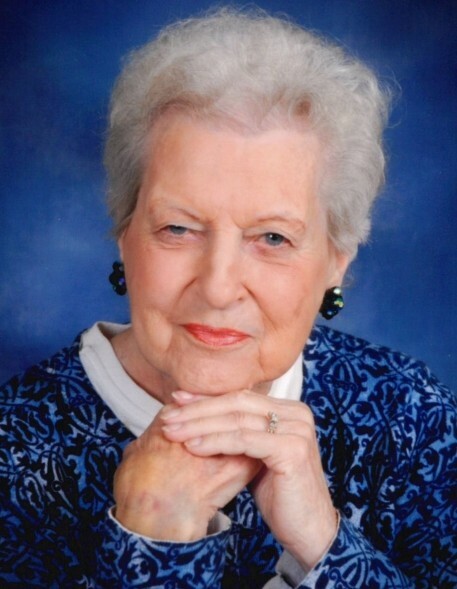 Virginia died on March 27, 2019 at 92 years old. Virginia was born in Kansas City, MO on December 30, 1926. She was the fourth child of Hunter and Bess Lee and the first girl. Her older brothers were Russell G., Kenneth P., and Robert E. Lee. She grew up in the Kansas City area and graduated from Central High School in 1949. It was love at first sight when she married Joe D. Burns on November 12, 1949. They had a wonderful life until Joe was diagnosed with Alzheimer’s Disease in 1974. As a result, she became a founding member of the local Alzheimer’s Association. She was a member of the board and started the 24hr help line and for 13 years was known as the diaper selling lady adult briefs for the organization. After 22 years with this horrible disease, Joe died in 1996. He was at home for 13 years and for the remaining 9 years he was a patient at the Leavenworth VA Hospital where he received excellent care. After his death, Virginia became reacquainted with her childhood sweetheart and married Forrest E. Reed on July 19, 2000. They were married 14 happy years until his death on May 1, 2014. Virginia is survived by her daughter, Beverly Foster; sons, Thomas G. Burns (Sherry) and William Lee Burns (Benita); grandchildren, Jordan Lee Burns (Novi), Hillary Young (Garret), and Mason Burns; great grandchildren, Nolan and Jovie; and her sister, Shirley Fitzgerald. Flowers are permitted as she loved flowers, but any memorial contributions are suggested to Rolling Hills Presbyterian or St. Jude Children’s Research Hospital, 501 St Jude Place, Memphis, TN 38105. A graveside service will be held at 10 AM on Saturday, April 13, at Johnson County Memorial Gardens, 11200 Metcalf Ave, Overland Park, KS 66210, followed by a funeral service at 11:30 AM at Rolling Hills Presbyterian Church, 9300 Nall Ave, Overland Park, KS 66207.